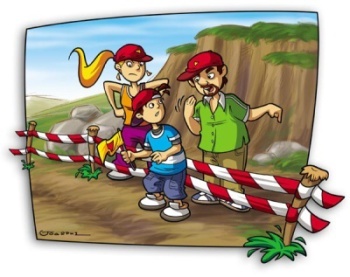 If you are asked by organizers to leave dangerous place on the route SS, obey organizers´ instructions. In case of indiscipline special stage will be canceled!!! Especially dangerous laps of journey are marked with "Prohibited area". Do not try to enter the area. Keep distance from the edge of roadway. Keep in mind the high velocity of that competitive cars. It is impossible to elide either driver´s mistake or unpredictable technical defect of vehicle. Do not stand on "escape roads" and on marked dangerous places. Avoid places below level of route. Red marked areas are for watchers PROHIBITED AREA with death danger!!! Cooperate with organizer, in case of menace of danger organizer must be informed about current situation. 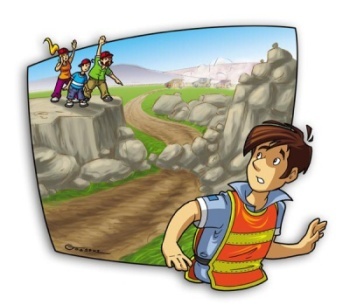 In case of any accident you should wait with possible help on organizers´dispositions. If you have your children, keep them under careful review. You are fully responsible for their safety. During special stage do not cross roadway and do not move on the route. Count with time limit. During time limit the route SS is closed before the start and the end of special stage. Take post close to the route SS before first racer´s drive. The route SS is opened after organizer´s vehicle passage. During competition avoid driving on access roads upstream of competitive vehicles going to the route SS. 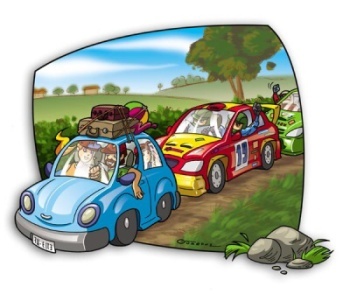 Roadways to special stages are usually narrow and racers could be in hurry. Do not damage the environment and do not park where you could stand in the way of competitive crew, service staff and other participants of street traffic. Park with your vehicles on reserved parking lots appointed by police or organizers. During special stages leading through forest do not stand before trees. Do not stand on external sides of curves, before houses or other impassable obstacles. Remember the quick evacuation of your place, at any time prepare an escape way. Choose place for watching competition on high areas, behind solid obstacles etc. Do not stand in front of traffic or directive signs. During special stage do not lead your pets. Domestic pets must be closed not to enter the route. 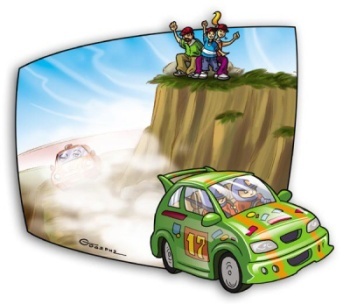 During special stage do not throw any things on the route that could danger safety of passing competitive crew. This behaviour is handled in Penal Code.